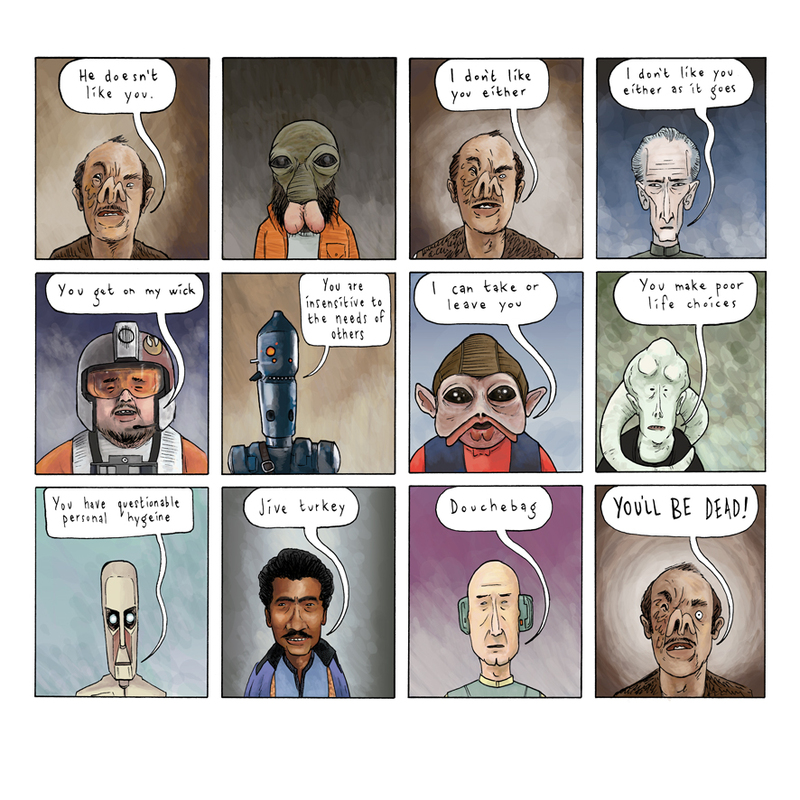 Based on a painting I did for a Star Wars themed show in May, this print uses the scanned line work, digitally coloured to emulate the original . Each print is signed and numbered as an edition of 15, measures approx 30x30cm and will be sent in a postage tube. 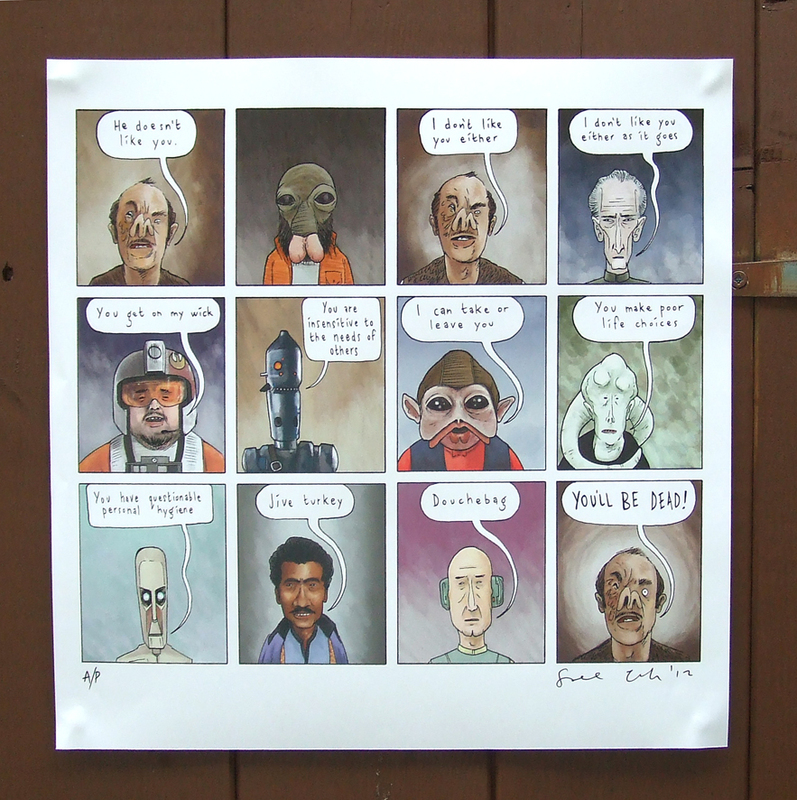 It features some of the more obscure characters that I like, Doctor Evazan, Ponda Baba (Walrus Man), Grand Moff Tarkin, Jek Porkins, IG88, Nien Nunb, Bib Fortuna, 8D8, Lando Calrissian, and Lobot, and is based on the bit in the first one where Doctor Evazan has a go at Luke Skywalker and Ponda Baba ends up getting his arm cut off. £7.50 including UK postage and packing (outside UK please contact me at banalpig@gmail.com for price) WHOOPS! SOLD OUT!